Would you like to think about poop while eating dessert? If so, you’ll probably want to make a special trip to Toronto. 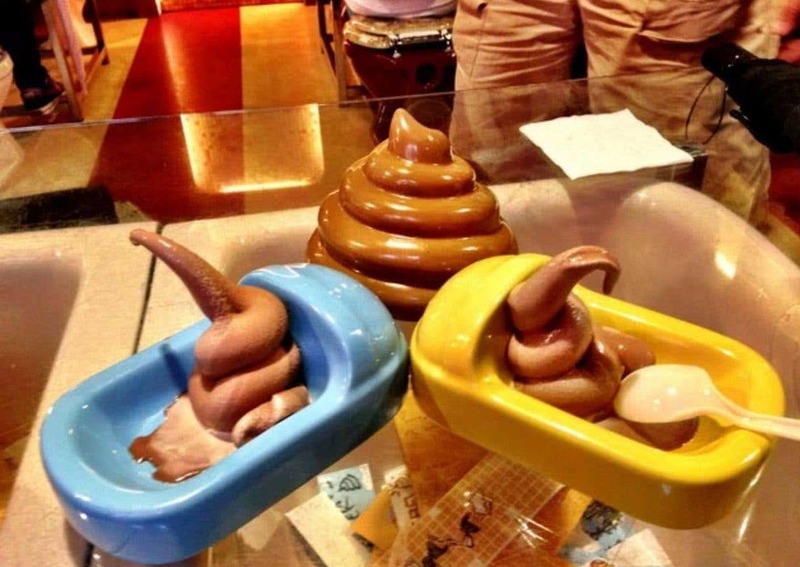 Lien Nguyen will be opening her special poo-themed dessert café in mid-August. All the desserts will be brown and in the shape of human stools. So what menu items can you expect to find? The menu will feature traditional Thai, Korean and Japanese desserts and the people of Toronto will be able to vote on the names of the dishes before the menu is finalized. And it’s not just the food that will make you think of taking a sh-t. While you eat your poop, you’ll be sitting on fake toilets and eating out of urinal-shaped dishes. Similar restaurants have been successful in South Korea, China, Japan and even Russia. The restaurant that inspired Nguyen has been opened since 2004, so there is obviously a market for this stuff. If the food is good, no one is going to care that it looks like sh-t. If anything, they’ll embrace it because they’ll have something unique to post on their Instagram.